[55% OFF] 2019 Bandeau Floral Bikini Set In MULTI | ZAFUL ..
Everything was true to size and the material was super soft. My first time ordering from zaful the shipment took took longer than expected but this time it came early. Very happy with my pieces and the service! Not only is the pattern and style of this swimsuit adorable, but it is so flattering. I am extremely happy with my purchase. It's and original looking pattern made on nice material too. I LOVE this suit!!! Super cute!! Great material and looks exactly like the photos! 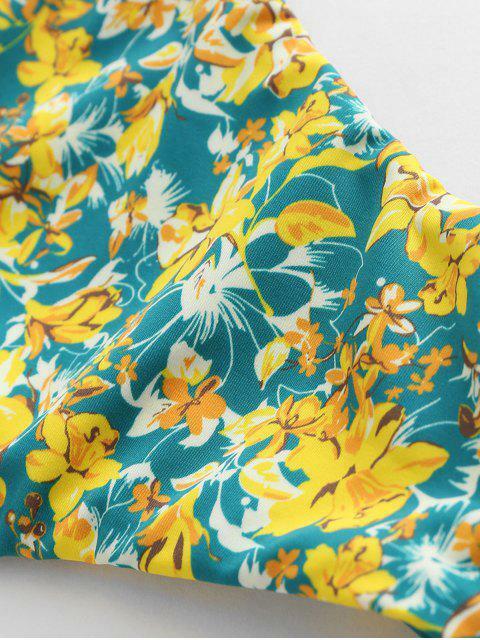 If you like cheeky swim and floral, this is the perfect suit for you! !